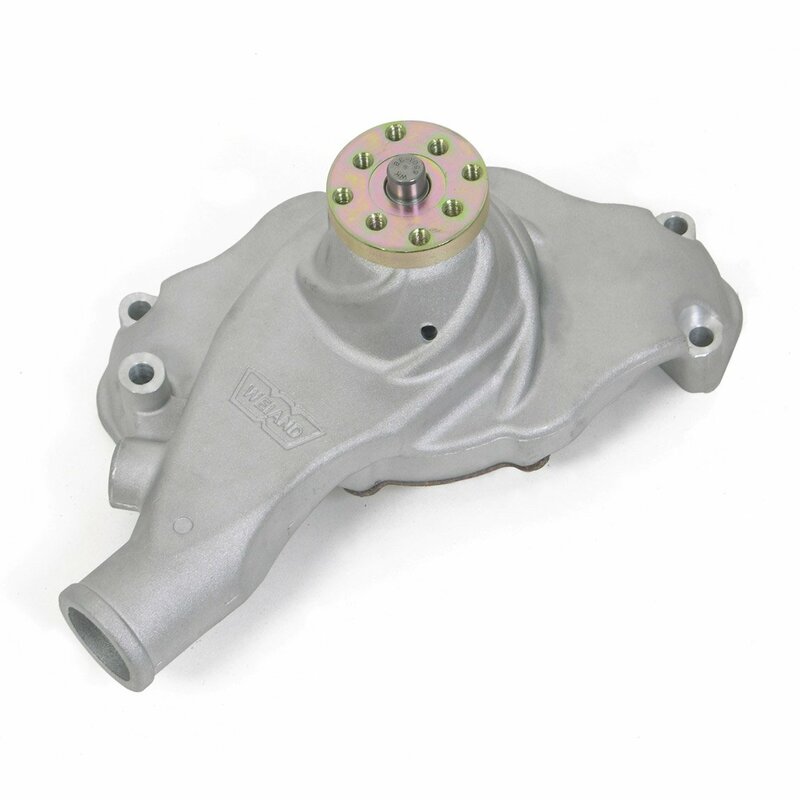 Fits all 1965-68 Chevrolet Big Block passenger cars, 1966-72 trucks and 1969-70 Big Block Corvettes. Weiand''s light weight, performance aluminum mechanical Action-Plus water pumps give a weight saving of 30% to 50% over stock cast-iron pumps. These pumps have been completely redesigned for better performance and utilize our exclusive "twisted snout" look and feature a premium quality bearing and seal that have twice the load capacity of stock pumps. Weiand''s exclusive housing counterbore keeps the bearing form "walking" out. All pumps are designed with the necessary bracket bosses and water connections to fit popular street applications.